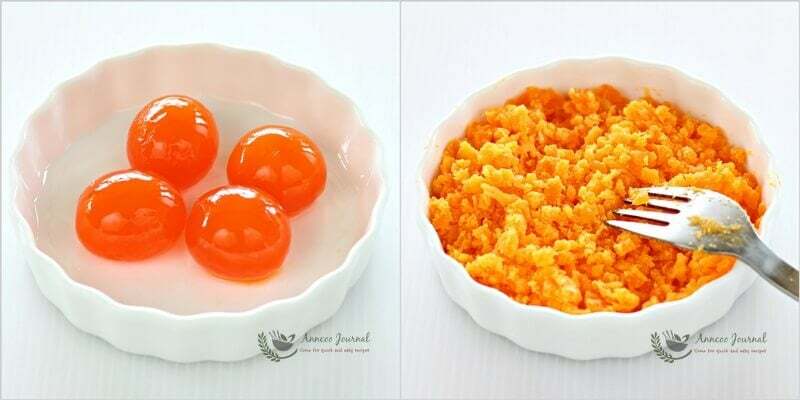 Recipes with salted egg yolk are becoming popular in Singapore and Malaysia, especially salted egg yolk cooked with seafood, salted egg yolk custard buns, croissants and many more. Normally we have mooncakes and plain porridge with the whole salted egg yolk. The trend of using salted egg yolks in baking and cooking still persist. 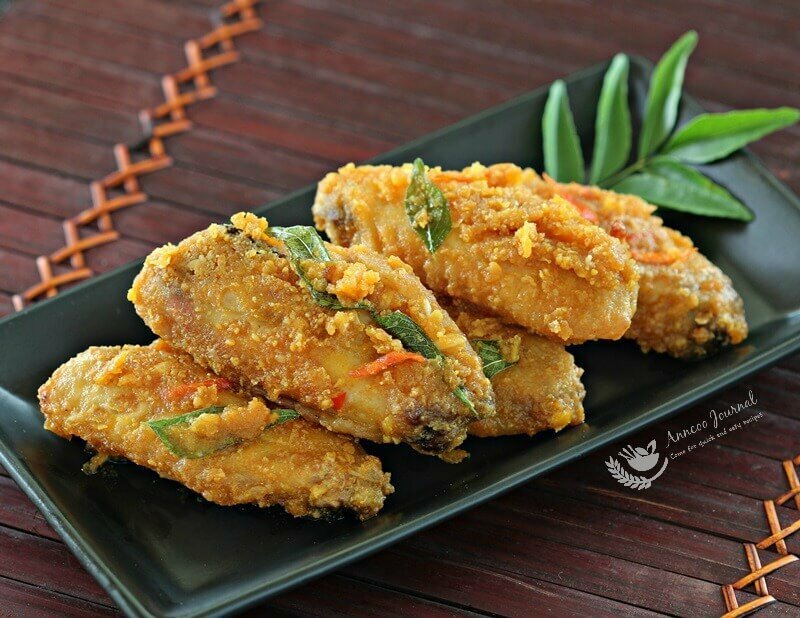 So here is my Salted Egg Yolk Wings, recipe adapted from Sharon of Delishar. Although it is a very sinful chicken dish but since it’s so yummy licking good, you should try to cook this at home. I know this is very high in cholesterol but I really don’t mind to cook this once in a while for my family. 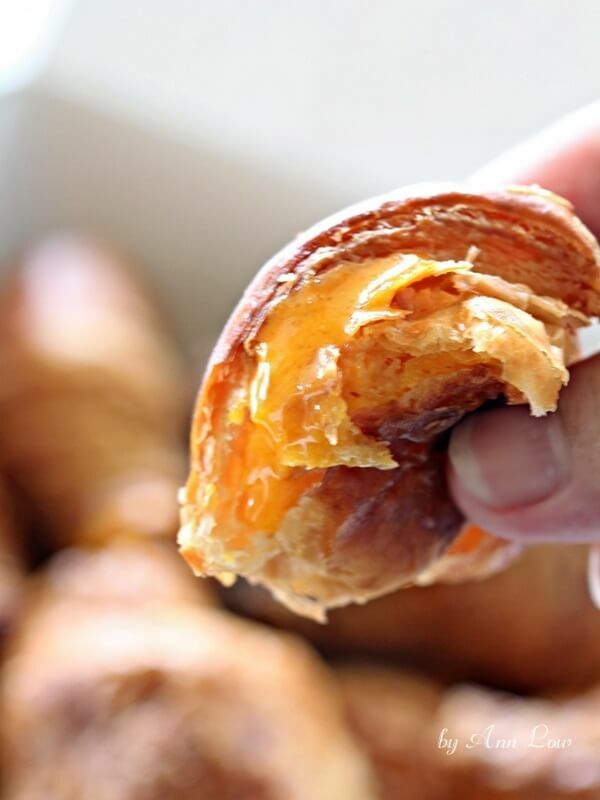 This is the latest creation mini Golden lava croissant in town. I bought a box of 6 from Bread Talk. Look at the salted egg molten lava that oozes out, smooth and not too sweet – yummy! Oven-Baked Cripsy Wings - Clean and dry wings. Season with salt (I added 3/4tsp) and pepper for 15 minutes. In a bowl, toss wings with flour and baking powder, lightly coated each side. Place wings on wire rack and light brush on cooking oil. Bake for 30 minutes, flip and bake for another 10 minutes or until crispy. Salted Egg Yolk Sauce - Steam salted egg yolks for 10 minutes until cooked. Mash salted yolks with a fork. In a pan, melt butter. Stir fry curry leaves, chilli and garlic until fragrant. Add salted egg yolk and stir fry until bubbly. Pour in evaporated milk (whipping cream), and season with sugar and curry powder. Bring to a boil, reduce slightly and remove from heat. 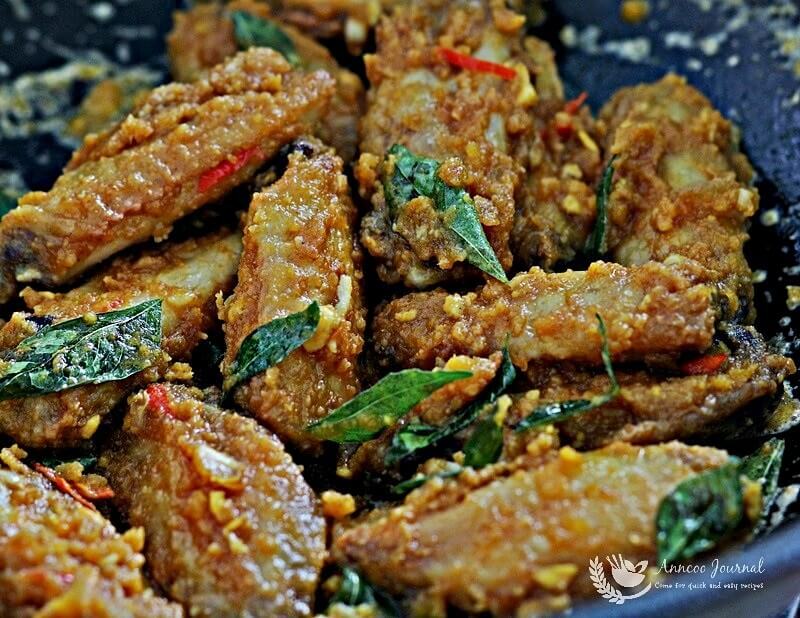 Then toss crispy baked wings in salted egg yolk sauce and serve immediately. 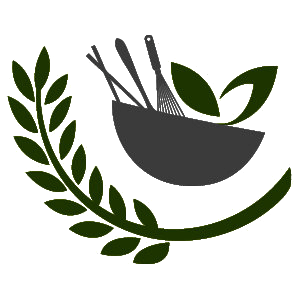 This post is linked to the event Bake Along #93 (Baked/Roasted Chicken) organised by Zoe (Bake for Happy Kids), Joyce (Kitchen Flavours) and Lena (Frozen Wings). Mmm they look delicious! Can't wait to try these. ? This is one gorgeous chicken meal. Usually the chicken pieces will be deep-fried before tossing with the salted egg yolk mixture. I like that you've baked the chicken instead. Looks very delicious coated with the sauce! wow..this looks incredible..! i love salted egg dish..it is so appetising! hope i am able to taste those lava croissants one day! Oh my ! 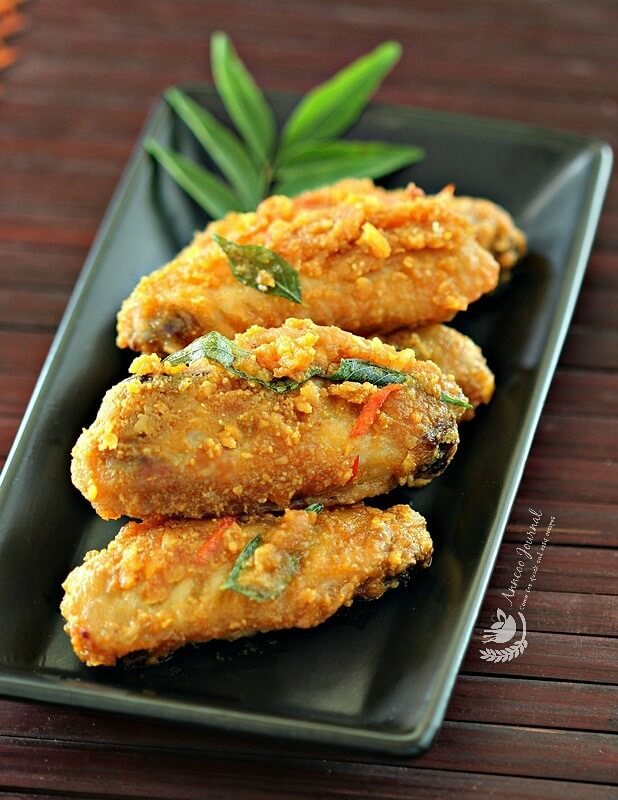 These salted egg yolk chicken wings are super tempting! Wow, Ann, I love your salted egg crusted chicken wings! Makes me so hungry for them LOL! These are so rich and delicious! That salted egg yolk sauce is the killer! We are very into salted egg yolk food lately too and I love the oven baked version of this chicken wings… You know they are sinfully and not so sinfully. LOL! Oh my goodness, Ann. I would be more than willing to go off my cholesterol lowering diet to just smell one of these delicious looking wings!! !